Category: Poetry, sponsored by Wellington Management, Inc.
I’m really excited! I remember attending the MN Book Awards Ceremony for the first time and hoping that one day I’d be a finalist. I’m honored to be in the company of three amazing poets. Writing poetry has always been the way I process my experiences with the world. I know this story isn’t unique, but when I first started writing poetry seriously in high school, I had a lot of feelings that I didn’t know what to do with and I felt pretty isolated. Writing helped me feel less alone and gave me an outlet to explore what I was feeling. My relationship to writing has evolved and expanded over time, but poetry will always feel like home to me. I think stories are important for our communities in many different ways. They can allow us to escape into another world, or they can bring us closer to a subject we want to explore. They can crystallize a feeling and record history. Personally, one of the most important ways I experience community in relationship to stories is through the friendships I’ve made. 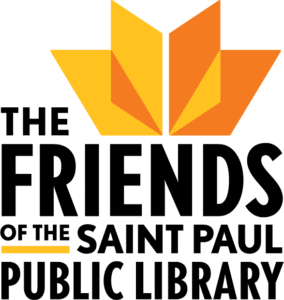 I’ve met so many amazing people through the writing community in Minnesota. From my very first writing teachers, to my professors in graduate school, to the friends I’ve made at readings and events, I feel really lucky to be a part of this world. The relationships I’ve built through writing are so precious to me. I rode horses competitively in high school. I love pretty much everything about libraries! Some of my favorite childhood memories involve spending time at the library with my family, and my favorite place to be during high school was the library. I love discovering something new while browsing the shelves, and I love being able to pick up a book and curl up in a chair and read. I’ve always felt safe in libraries. They’re such a valuable resource! 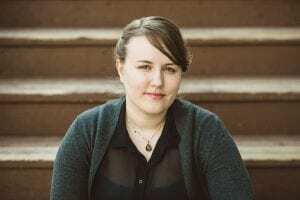 Caitlin Bailey received an MFA from Hamline University. Her first book, Solve for Desire, won the 2017 Lindquist & Vennum Prize for Poetry and was published by Milkweed Editions. She lives in St. Paul. See the winners announced live at the 30th annual Minnesota Book Awards Ceremony!